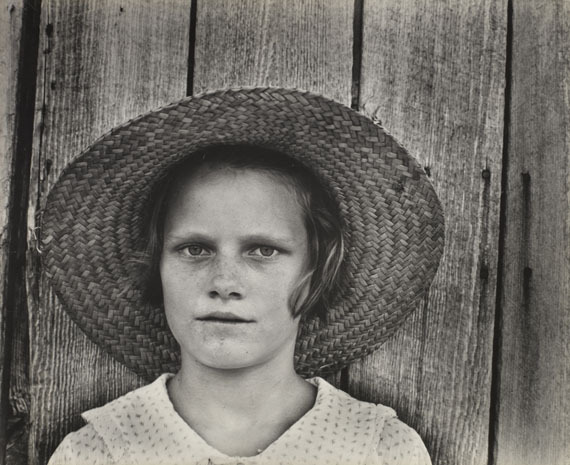 Walker Evans: Lucille Burroughs, the daughter of a cotton cropper, Hale County, Alabama. 1935 or 1936. 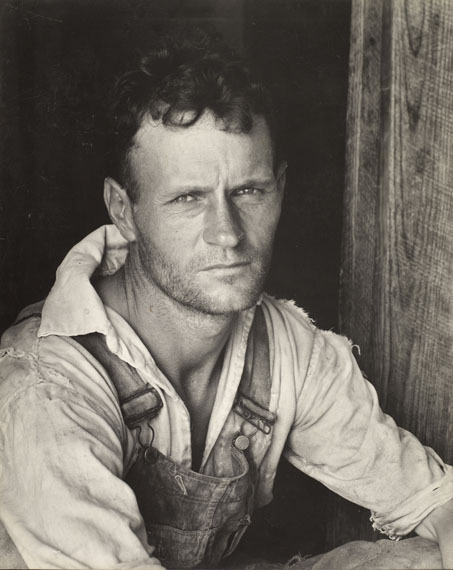 Walker Evans: Floyd Burroughs, cotton sharecropper, Hale County, Alabama. 1935 or 1936. "The Bitter Years" is the last exhibition Edward Steichen organized as director of the photography department at the Museum of Modern Art (MoMA) in New York. It was created in 1962 and pays tribute to documentary photography, featuring over 200 images from one of the greatest collective projects in the history of pho¬tography: the documentation of rural America during the Great Depression, which was carried out between 1935 and 1943 by the Farm Security Administration (FSA). The project was supervised by Roy Stryker and involved a number of now world-renowned photographers, such as Walker Evans, Dorothea Lange, Russell Lee and Arthur Rothstein. They travelled the length and breadth of their country to create a shattering collection of images depicting America in crisis. The result of this Government commission, which aimed to support F. D. Roosevelt’s New Deal policy, consists of more than 200,000 negatives. 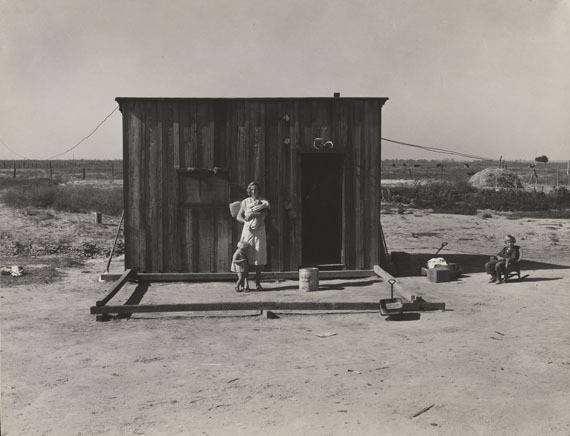 Dorothea Lange: Home of rural rehabilitation client, Tulare County, California. November 1938. "The Bitter Years" first travelled around the United States before heading to Europe. When the exhibition finished touring in 1967, Edward Steichen, as a tribute to his birth country, requested that this collection be bequeathed to the Luxembourg Government in 1967. At the CNA, The Bitter Years underwent careful restoration and was digitalized. In September 2012, "The Bitter Years" found a new home in Dudelange, in the gallery of a water tower, built in 1928 and located on industrial wasteland near the CNA. The thematic selection of images from the historic collection enters now its second rotation, which features the themes of Field Workers, Jobless, Tents, Houses and Schools in the base of the water tower, while the monumental Sharecroppers chapter is displayed in the former water tank. 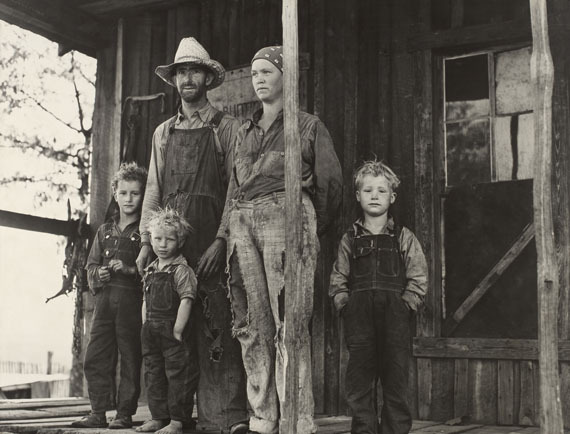 John Vachon: An Ozark mountain farmer and family, Missouri. May, 1940.